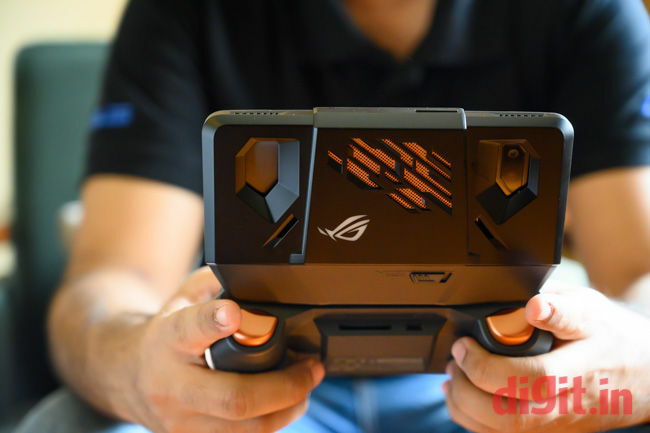 The Asus ROG Gaming smartphone supports various accessories like a Professional Dock, GameVice joystick, TwinView Dock and more. Asus has launched its Asus ROG Gaming smartphone (first-impressions) in India. It is the company’s first gaming smartphone that has been developed in tandem by the company’s smartphone and ROG team. The ROG Gaming smartphone was initially unveiled at Computex 2018 and it takes other gaming phones like the Xiaomi Black Shark, Razer Phone and others. Asus’ gaming phone features an Aura-illuminated ROG logo on the back panel that supports RGB colour scheme and it comes equipped with a 3D vapour-chamber cooling system called GameCool that keeps the temperatures under check while gaming. The Asus ROG Gaming phone features a 6-inch AMOLED HDR display with a 90hz refresh rate and a contrast ratio of 10,000:1. The device is powered by an overclocked 2.96Ghz “speed-binned” Qualcomm Snapdragon 845 chipset with the Qualcomm Adreno 630 GPU. It features 8GB RAM, which is coupled with 512GB of internal storage. It is backed by a 4,000mAh battery that uses Asus HyperCharge direct-charge technology, which is said to make the charging battery faster, and safer. The device equipped front-facing stereo speakers that use ‘smart’ amplifiers to maximise volume, while minimising distortion. In terms of optics, the ROG Gaming phone features a dual 12MP + 8MP rear camera where the main sensor is paired with a f/1.8 aperture lens. The camera comes with 4-axis Optical Image Stabilisation and with dual pixel PDAF for faster auto focus. On the front is a single 8 MP camera with f/2.0 aperture. 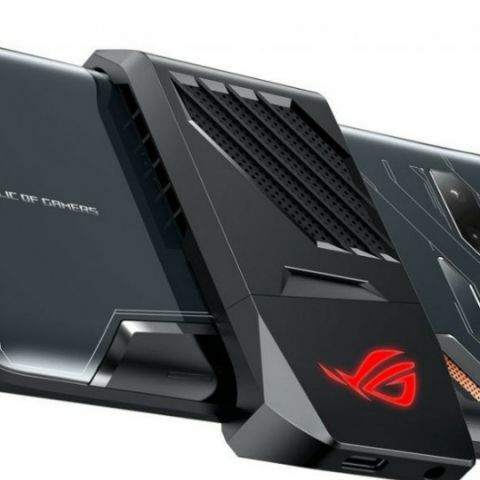 Asus has packed a slew of features on its ROG Gaming smartphone that will appeal to mobile gaming enthusiasts. It features include three Air Triggers, which are supposed to enable a better gameplay experience for users. Two of them are placed on the device’s right edge, while one is placed on its left edge. Asus also has some accessories that can be hooked up to the phone to enable enhanced functionality. 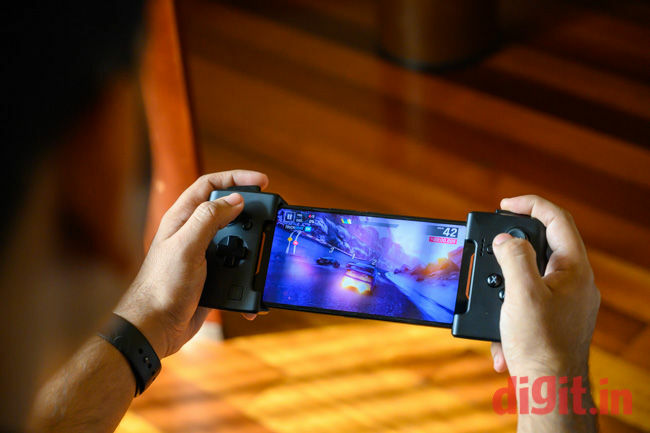 The phone sports side-mounted ports that can be used to link it with the optional TwinView Dock for dual-screen handheld mode, the Mobile Desktop Dock for desktop-style gaming, and the Gamevice controller with WiGig Dock. The TwinView Dock provides an additional display for the device, along with two more speakers. It has a 6000mAh battery and a cooling fan to keep the temperature low. 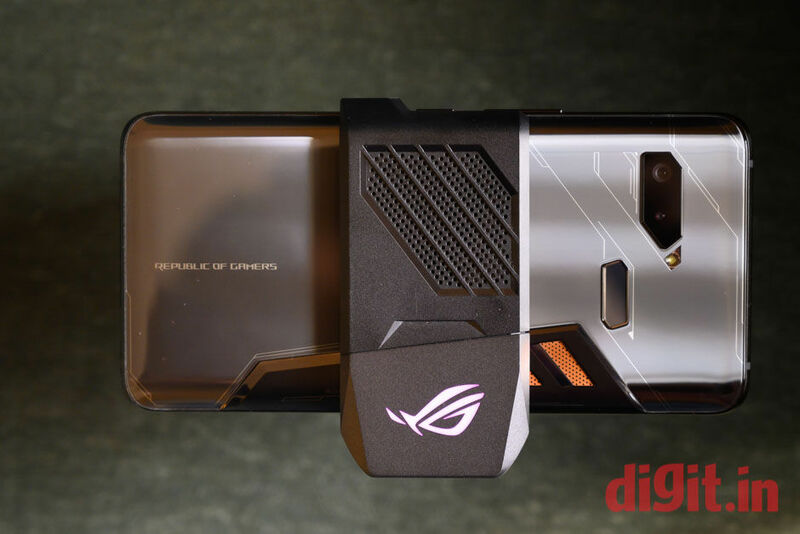 Additionally, the Asus ROG Phone features a tailored side-mounted USB-C connector that provides connectivity options like HDMI output, gigabit LAN, direct charging, and a 3.5mm headphones jack. The phone supports Hi-Res Audio files with its 24-bit/192KHz audio engine. For taking care of the device’s onboard battery, there’s ‘AI Charging’ feature that is said to learn a user’s habits of how they charge the phone over time. It then analyses and slow charges the device to ensure better battery life and health. The Asus ROG Gaming Smartphone is priced at Rs 69,999 and will be available exclusively via Flipkart starting November 29. All of its accessories, except the WiGig Dock, will be available as well. The Professional Dock is priced at Rs 5,499, while the GameVice joystick will be available for Rs 5,999. The TwinView Dock is priced at Rs 21,999, Desktop Dock at Rs 12,999 and the ROG Phone Case costs Rs 2499. The handset will come bundled with the Zenear pro IEMs, a 30W fast charger and an AeroActive Cooler, which is a snap on cover with a fan. For launch offers, under the Asus Flipkart partnership, the Complete Mobile Protection for the ROG phone will be priced at Rs 999, instead of Rs 5,999. This offer will be available only for a limited time though. Jio users will get to avail Rs 5,000 cashback with the Rs 509 pack, which will be credited back to them in form of 20 vouchers, each worth Rs 250, over a period of 20 months. While the phone is not available offline, the company will host some demo units in some of its Asus stores so that buyers can check it out.